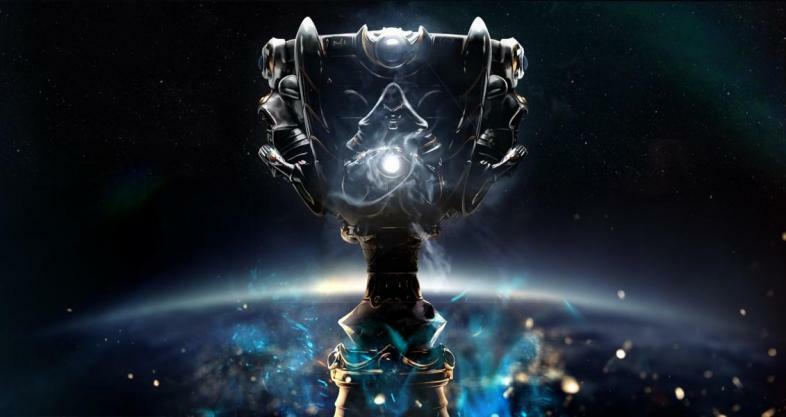 The League of Legends World Championships is a culmination of almost a year of professional players and teams battling through changing metas, shifting rosters, and finding the best champions for winning in the professional arena. But it’s also a great time to watch and see a completely different side of League of Legends. The 2018 League of Legends World Championships may be a little far off, but it’s never too early to be thinking about it and debate which teams will find their way into one of the highest online spectated events of the year. Here’s everything you need to know about this year’s upcoming League of Legends World Championships. Worlds hasn’t been given a specific date, but it will be announced when we start getting closer. Check out the League of Legends website or Twitter to learn when the date will be when they announce it. Only 24 teams will make it into the World Championships, meaning every match and tournament is crucial with so many teams from regions such as North America, Europe, and Asia. Now you may be asking yourself: how do teams qualify? There’s different ways to qualify, atleast according to last year’s information. The way for teams to automatically qualify for the tournament. The consistently strong regions, LPL, LCK, EU LCS, NA LCS, and LMS can qualify three teams in three ways: winning the summer playoffs, which is the Mid-Season Invitational, have the most Championship points by the end of playoffs, and win the Regional Qualifier, which is held after the Summer Playoffs to decide the third seed. Once the seeds are set, they then are divided again. Last year, League of Legends expanded their tournament to include a Play-in stage. Last year for the stronger regions, all three LCK seeds went straight to the Group Stage, while all the other regions have two teams go to Groups and the third to the Play-In stage. Now that we’ve seen what it takes to get to Worlds, let’s take a look at some teams who may be headed there this year if they play their cards right. While it still may be a little early while teams flesh out their rosters and team compositions, these teams are ahead in their divisions. Formerly known as Longzhu Gaming, King-Zone Dragon X was leading the LCK on March 4 with a 10-2 record in the LCK Spring Split. Although they are closely followed by KT Rolster by one game, King-Zone Dragon X was a favorite to win Worlds last year when they were Longzhu Gaming. After being defeated in the quarterfinals by Samsung Gaming, now known as KSV, King-Zone is looking for their shot at the title, especially with KSV and SKT T1 struggling this year as both team is 6-6. Although the name may be different, the core group is the same with teammates such as Khan, Peanut, and GorillA hungry for revenge. Currently leading the North American side of the Spring Split, Echofox has had a tremendous showing and earned a 11-3 record, which is especially outstanding considering their players are all new faces to the organization. Time will tell if they are able to continue the upward trend to hold off Cloud 9 and win the Spring Split, but look for great plays and games to come from veteran top-laner Huni and veteran jungler Dardoch. The winners of the first ever League of Legends World Championships, which was in 2011, have always been a strong contender for a spot at worlds. Last year, they made it to the quarterfinals, but were eliminated by Royal Never Give Up in four games. This year, they are looking to punch their spot back to Worlds. Currently, they are leading the EU LCS Spring Split with a 10-4 record, while being closely trailed by G2 Esports. We’ll see if captain Rekkles can bring them back, though he’s looking like he can carry his team with the #1 KDA ratio in the EU LCS at 11.9. The Flash Wolves are looking unstoppable right now in the LMS Spring Split with an undefeated record. The Flash Wolves boast an impressive team KDA as they have seven players in the top ten KDA ratios in the LMS. The team has had three appearances at Worlds and are looking like the strongest candidate to make it there in the LMS. This year’s League of Legends Worlds Championship looks to be the most explosive and narrow Worlds to date so make sure not to miss it!